As I’ve said before, I have an unhealthy obsession with cinnamon rolls. 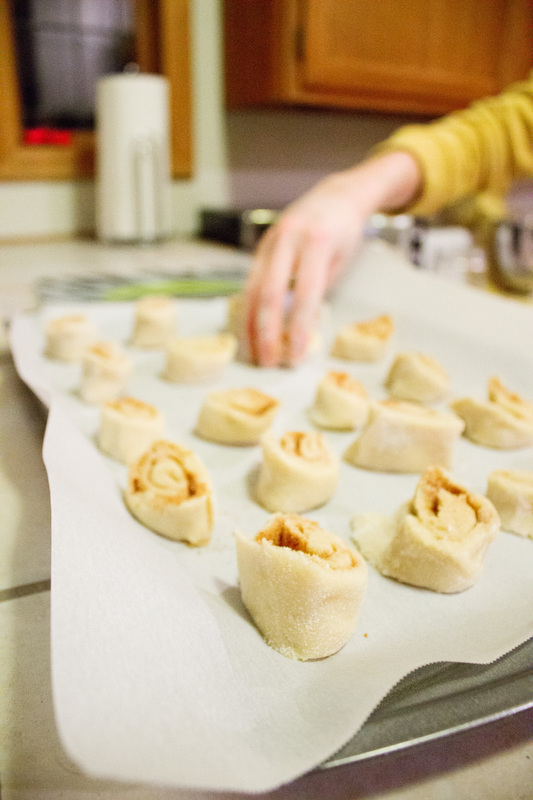 The traditional roll can be a pain to make and these cookies seemed like the perfect solution yet they were nearly as difficult to make. Though the recipe doesn’t call for yeast so I didn’t need to check and double check that my dough is rising correctly. I just stuck it in the fridge and forgot about it for two hours. The batch claimed to make 6 dozen cookies (which typically I wouldn’t do but this was for my sisters wedding) and it delivered. I was able to get about 5 dozen cookies out of the recipe, which was enough to give some to the wedding reception yet enough to pull aside for the pre-wedding festivities. As far as taste, these cookies reminded me of a sugar cookie with a cinnamon twist. The frosting was perfect and added an extra bit of cinnamon roll-ness. I recommend halving this recipe for normal occasions via The Girl Who Ate Everything. In an electric or stand mixer, cream the sugar and butter. Add eggs, vanilla, and sour cream. Mix until well combined. Slowly add flour, baking soda, baking powder and salt until mixed. 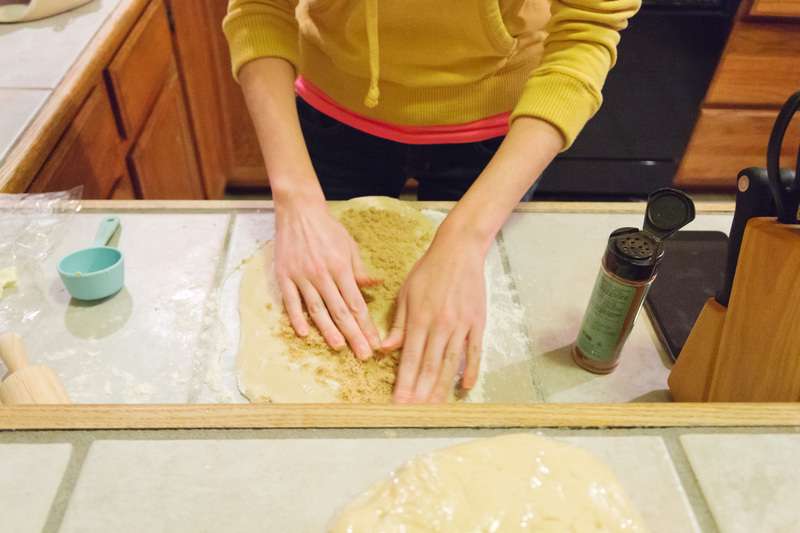 In 2 (or my case, 3) batches, place dough in a disc shape in plastic wrap and chill in refrigerator for at least 2 hours. Once chilled, preheat oven to 350F degrees and cut each disc into thirds and roll into a 1/8 inch thick oval (about a 12″ x 5″ rectangle). 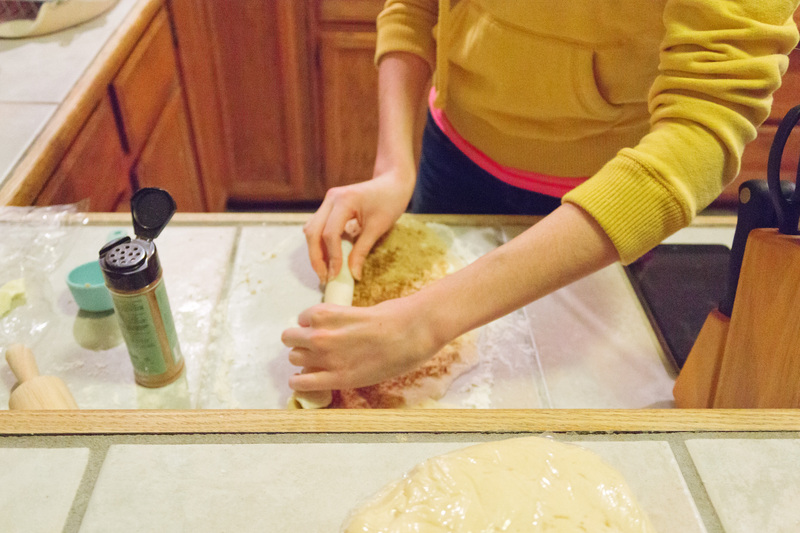 Spread each rolled piece of dough with 2 Tbsp butter, 1/4 cup packed brown sugar and 1/4 tsp cinnamon. Roll into a log longways. 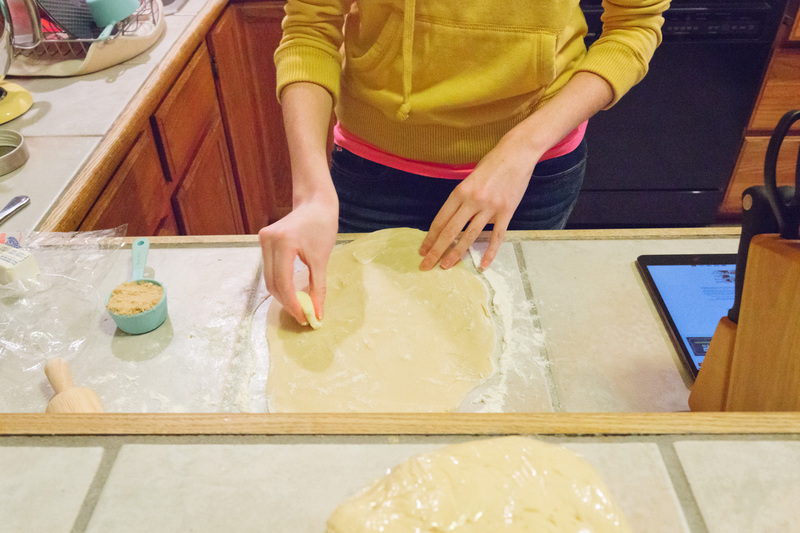 Use a sharp knife to cut 1/2 inch pieces of dough. 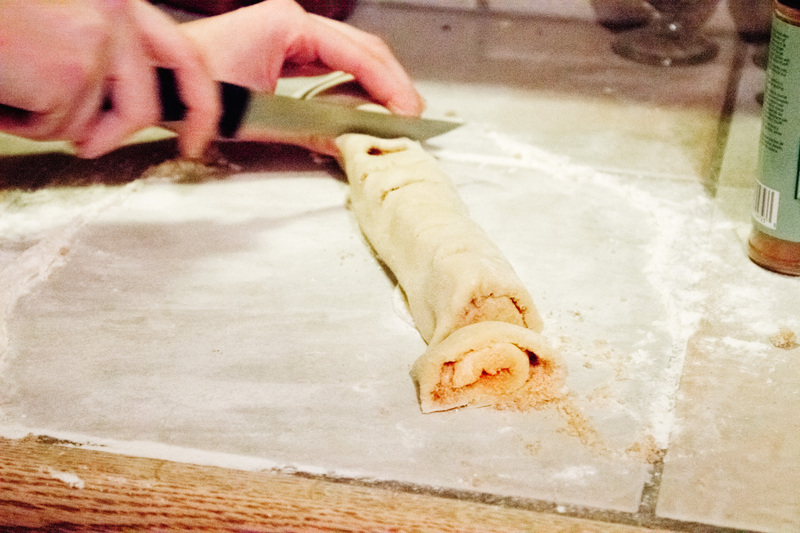 Place onto a parchment-lined cookie sheet. Bake at 350F degrees for 9-11 minutes. Remove pan from oven and let cool for 5 minutes before removing cookies to a cooling rack. To make icing, beat cream cheese until smooth. Slowly add in the powdered sugar and milk until desired consistency is achieved. 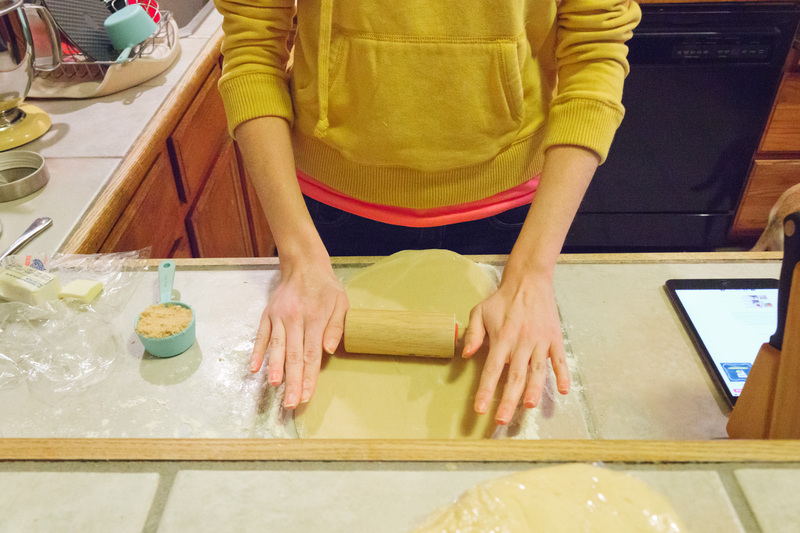 Frost cookies (or drizzle) and place in refrigerator until served. 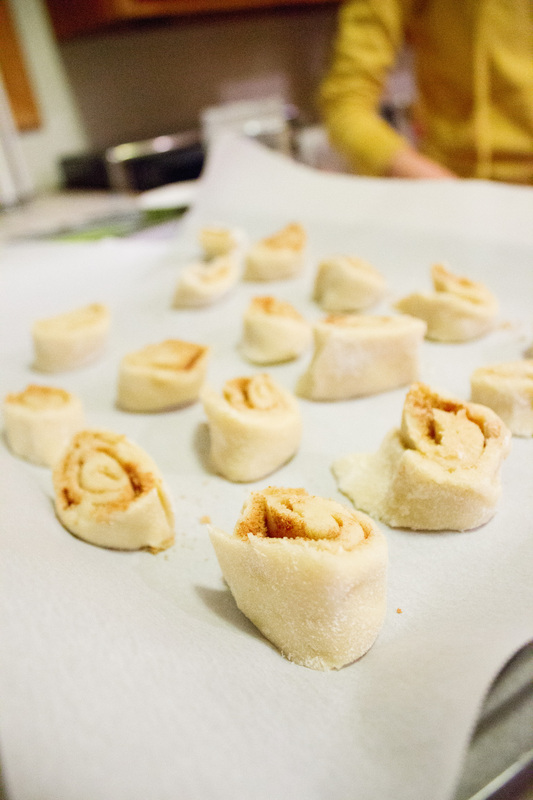 Mm love cinnamon whirls so I’ll have to give these a go! They turned out very tasty! And thanks Sammy- cant wit to enjoy! They look delicious! Can’t wait to try one! 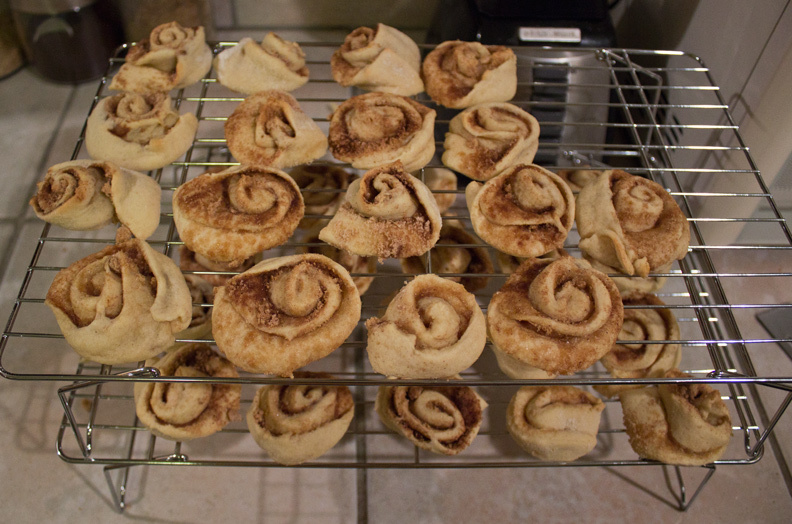 I love cinnamon whirls, so these are definitely my kind of snack! Looks delicious!